Regional Scientific Specialist, Origin Inc.
Dr. Scorzelli is presently working with several start-ups in different capacities as a Medtech/Innovation Consultant and inventor. 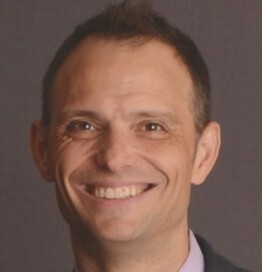 Dr. Scorzelli’s previous roles were as Chief Medical Officer and Medical Innovation Director at Kablooē Design and served for a brief period as Interim Executive Director of Magic Arms, a nonprofit organization working to serve children with rare neuromuscular diseases with custom 3D printed exoskeletons. Dr. Scorzelli’s work has focused on inventing new medical devices, and supporting client projects in the Medtech space. Dr. Scorzelli is a physician by training, a self-taught engineer, and an artist at heart. He has over 20 years of experience in everything from molecular biology to Home Hospice to fine art. His career experiences have included fellowships at the National Institutes of Health, Bethesda, MD and Medical Devices Center (MDC) (U. of Minnesota), as well as numerous research and clinical work experiences spanning start-up genomics, biotech, and MedTech companies. During his year as an MDC Innovation Fellow Dr. Scorzelli submitted 20 provisional patents to the University and co-founded a cardiovascular company with his colleagues. Since then he has participated in several other start-up ventures, and submitted additional patent applications. Dr. Scorzelli was selected by the German Marshall Fund to receive the prestigious Marshall Memorial Fellowship (2014), received the 40 Under Forty Award (2013) from the Minneapolis/St. Paul Business Journal, was a Minnesota Cup semi-finalist (2013) and part of the 2011 Minnesota Cup Division and Grand Prize winning team. Dr. Scorzelli also serves on several boards, committees and associations throughout the Twin Cities while mentoring young entrepreneurs and innovators whenever possible. In addition to his Doctorate of Medicine, Dr. Scorzelli also holds a BS degree in Chemistry and is the blessed father of two incredible girls, Luna and Ruby, and amazing wife, Erin Heitkamp.